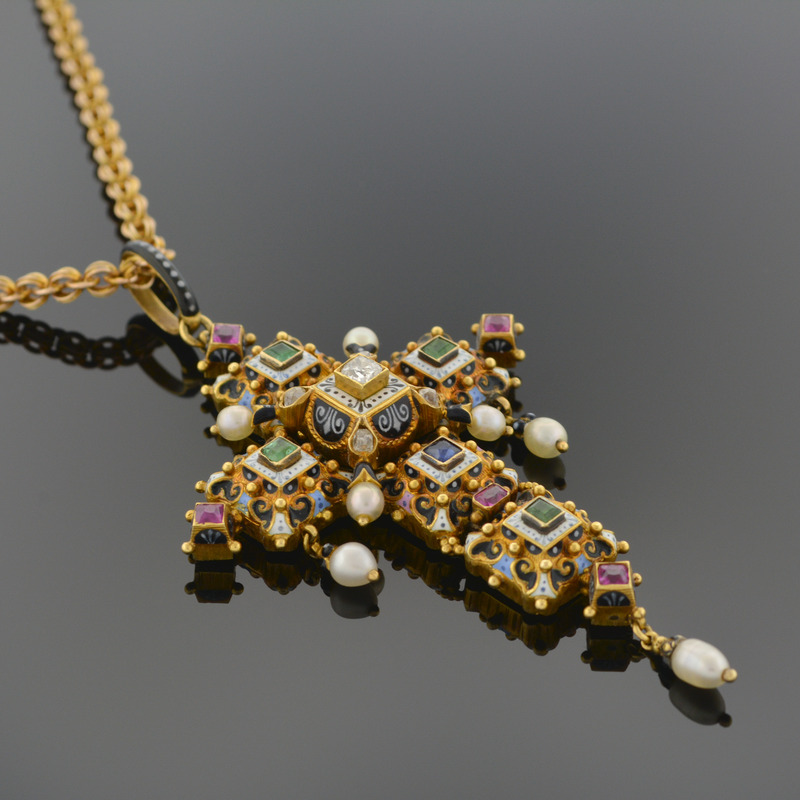 Openwork cross decorated in Elizabethan taste with numerous colored stones including square cut sapphires, rubies, and emeralds further enhanced with natural pearls and a single diamond in the center, within borders of white, blue, and black enamel anchored by a trio of pearl drops. The reverse is decorated in a pastel floral pattern of blue and white enamel, the center with a circular compartment for a souvenir. Signed "C.G."